In my late teens (and beyond), I watched Pump Up the Volume more times than I can count. Released in 1990, it summed up the high school experience in a way that found a very enthusiastic audience (especially among disenfranchised kids who liked “weird” music, not that I knew anybody like that). The hero of the movie, played by Christian Slater, has trouble talking to people face-to-face but uses pirate radio broadcasts to reach out to his classmates. Like a much darker Ferris Bueller, he’s loved by everyone, but nobody knows who he is. I imagine the movie would have a tougher time being understood by today’s teenagers. A world where the media is locked down by regulation, where the only way to get your voice out uncensored is by literally breaking the law and risking everything, it’s probably a bit alien to today’s youth. But my generation connected with this movie and the feeling of empowerment Hard Harry’s crass rebellion represented. You have a voice and can and should use it, it told us. 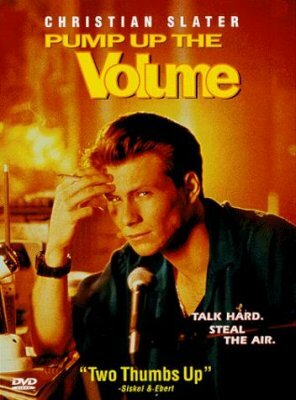 When EMC started up an internal social media site, I immediately thought of this movie, of Christian Slater’s chain-smoking voice talking about the power of truth as a virus. I’m not saying EMC was this broken place and I was looking at this as a way to fix it — let’s not be so dramatic. But I did think about the power of tens of thousands of people who suddenly could say whatever they wanted, and know that it potentially would be read by everyone else at the company. Something doesn’t make sense? Sick of some corporate rule that is holding your team back? Feeling blocked by your current management? Suddenly you have all this power. But unlike the illicit broadcasts from Pump Up the Volume, all this is invited and supported by the corporation. They’ve given a microphone to every employee and said, “go ahead, say something, say anything!” They can’t shut down the radio station now — we’re all far too used to being able to broadcast our voice. There’d be blood in the streets! I’m sure it scares a few people who wear suits to work. I think it’s pretty cool that we’re “on the air” regardless. Now if you’ll excuse me, I’ve got to cue up some Leonard Cohen. This is Dave, reminding you to eat your cereal with a fork and do your coding in the dark.